I've seen some new posts about guns bought this year, other than this, is there any proof that Rossi is backup and making guns? golfish wrote: I've seen some new posts about guns bought this year, other than this, is there any proof that Rossi is backup and making guns? On this forum, only 2017 models. Has this already been posted? Maybe yes. At the NRA meetings, I was talking to the Rossi representative and he told me that in the process of moving they also decided to install all new tooling. With new precision tooling the new 92s should be even better than the old ones. New buyers might be happy they had to wait. I've seen the statement about the move in several publications but always under the Taurus brand or only their logo. I've not read any statements where an employee has specifically mentioned Rossi being made in the US or GA, only a relocation of the plant within Brazil and that was first announced two years ago. Taurus products have been manufactured in two countries, Brazil and the US. Only a limited number of polymer semiautos have been manufactured in the US. Rossi firearms have always been manufactured in Brazil. I seriously doubt that a design such as the 92 could be made in this country, considering labor costs, and remain competitive. Without a specific announcement concerning Rossi, I remain skeptical. Ranch Dog wrote: Without a specific announcement concerning Rossi, I remain skeptical. I wonder about the bluing on the model 92s also. If the model 92 was made in the US the bluing could suffer, it's not likely to be anything EPA friendly. The nicest bluing I've ever seen is a recently acquired Taurus raging bull made in 1998.
m-saunoras wrote: I wonder about the bluing on the model 92s also. If the model 92 was made in the US the bluing could suffer, it's not likely to be anything EPA friendly. You've made a very good point. All my Rossi's; 92s, RGs, and a 351, have the deepest bluing I've seen on firearms. The US manufacturers can't do the same job. I mentioned this in a post comparing Marlin, JMs, and Remlins, just not the same deep finish. I could use my 351 38 Spl revolver as a mirror to shave. The finish on it is absolutely gorgeous. Well, that's nice to hear about the bluing! 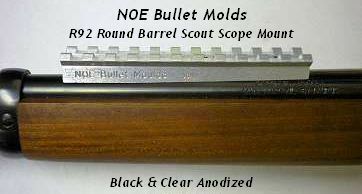 My next Rossi will definitely be a blued 16" .357.